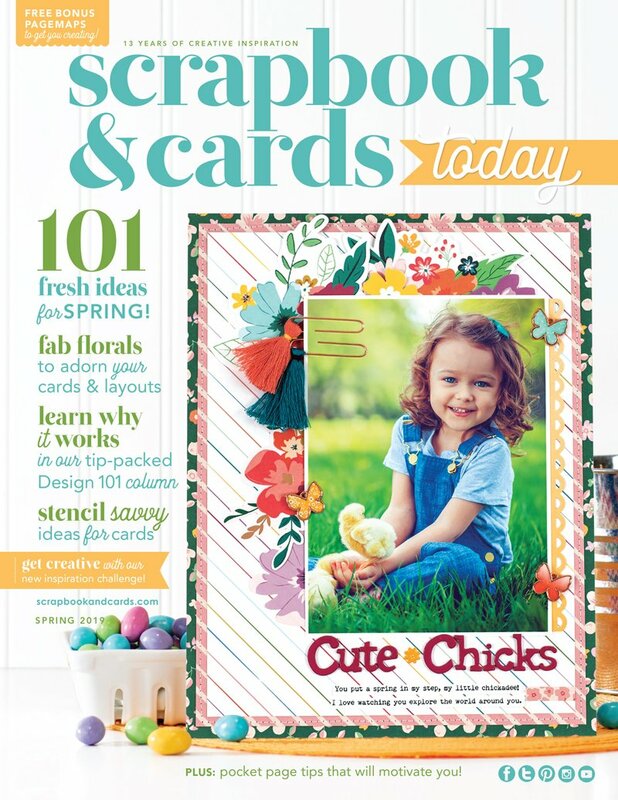 Free Cut File Tuesday! It’s all about circles! Good morning cut file fans! It’s time for a new free cut file for April! This one is perfect for all things spring – we hope you love it! Today, I have Monique Lietdke joining me in creating with this cut file. 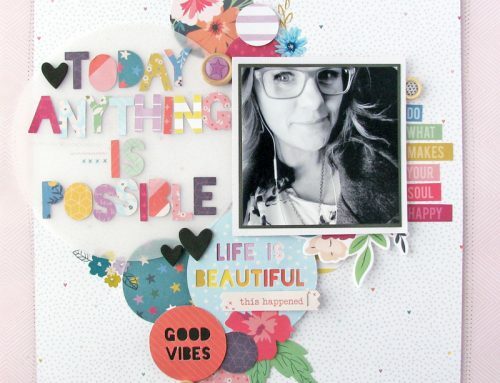 We love the fun layout she has created! Supplies: Patterned Paper: Pebbles; Cardstock: American Crafts; Embellishments: Pebbles; Embroidery Thread: Misc. I also went with a rainbow feel to my page. 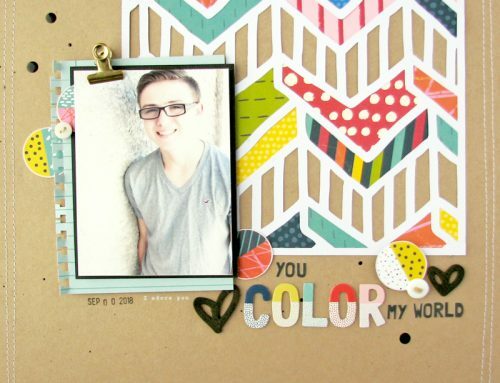 How could you not think rainbows for this cut file! 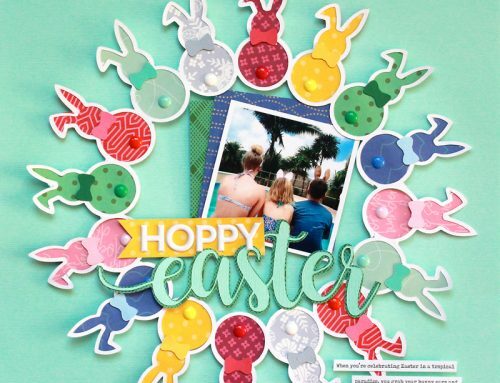 I popped a whole lot of colourful papers to the backside of the diecut design and then proceeded to fussy cut a lot of fun Shimelle flowers from patterned paper to fill in around my photo. The result is fun and playful and full of color, which to me is all SPRING! I hope you are inspired to give this one a try, I think there are lots of possibilities for this one. Thanks again for joining me today, happy spring! Be sure to download today’s cut file HERE. 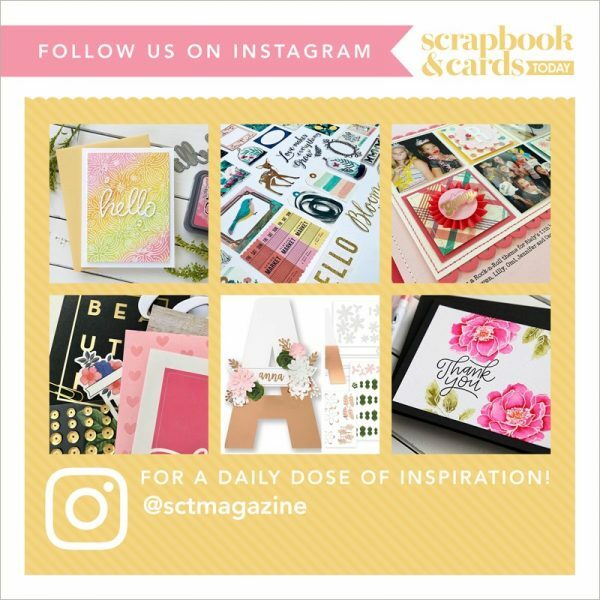 We would love to see how you use the cut file so please be sure to tag us on Instagram at @sctmagazine or post it on our Facebook page! 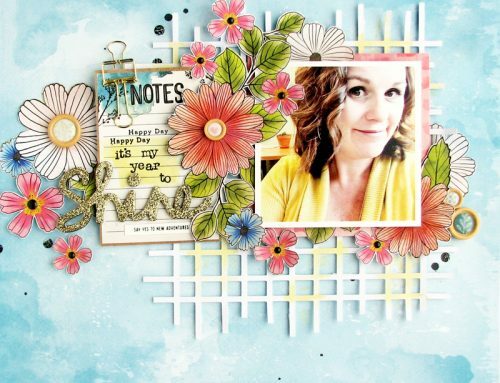 For more of Nicole’s beautiful free cut files, be sure to visit our website HERE! These layouts are super fun and awesome! TFS! Sweet! Thank you! Love the layouts! So fun! Thanks for the cut file and the great ideas on how to use it! Cute file.. i was able to download it. Now how do I get it not my Silhouette? Thanks Nicole for asking me to join you! I just loved this cut file and I love what you created!! Gorgeous LO’s and fun cut file. Thanks Nicole! Going to try something with these circles!! we tried this over the weekend with my friend’s new silhouette, but couldn’t get it to cut properly. 4 of us at a crop were going to use it and compare our layouts, but no luck 🙁 Any suggestions on how to make the file work? We tried with svg and another format as well.